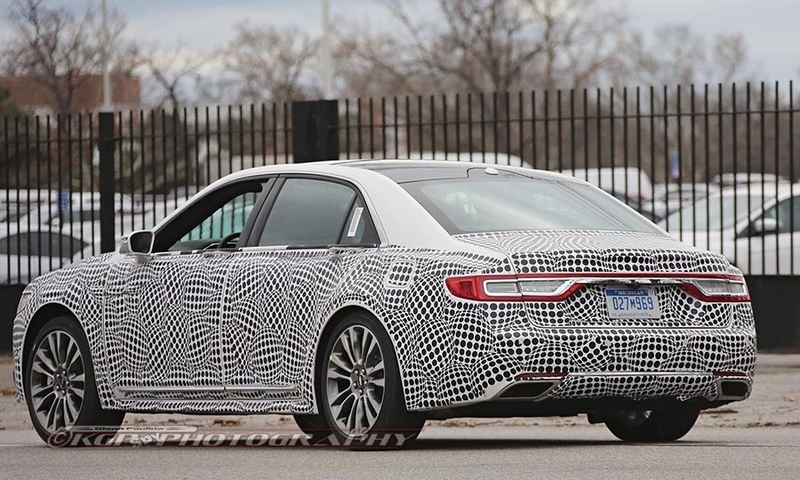 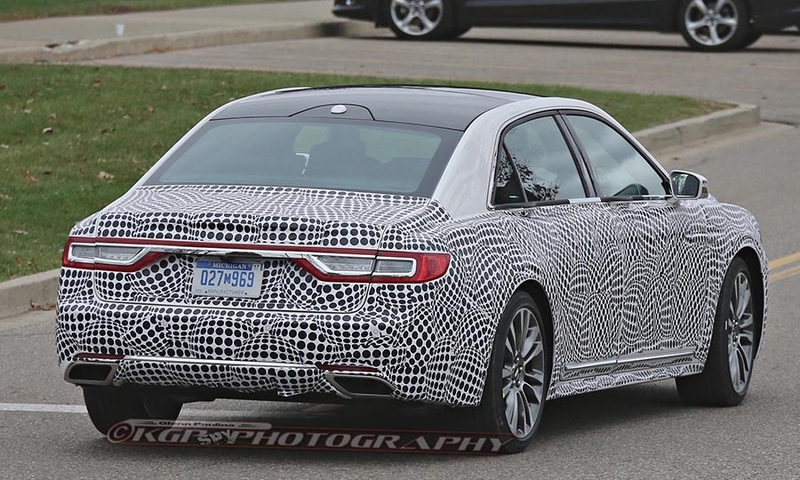 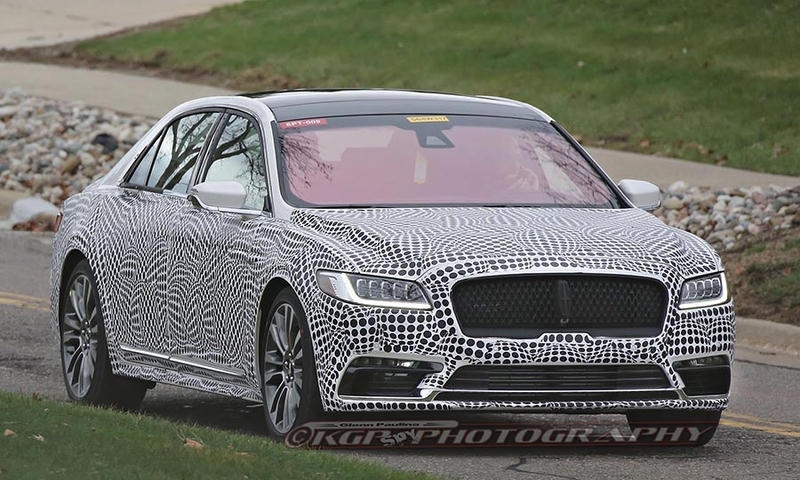 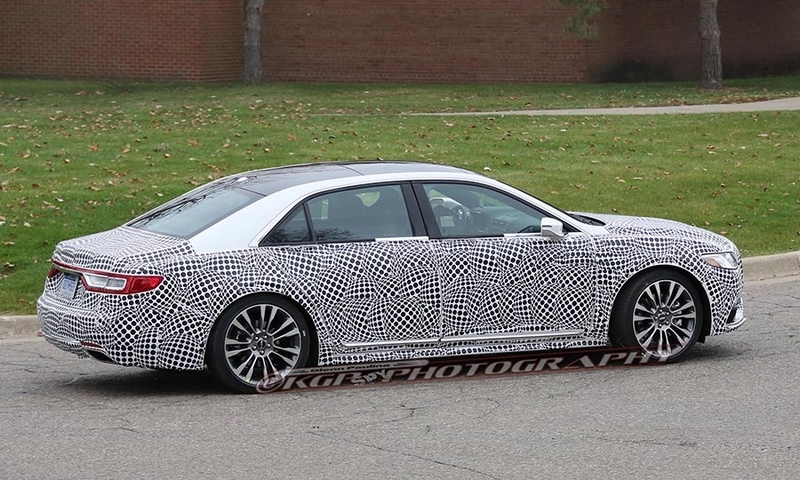 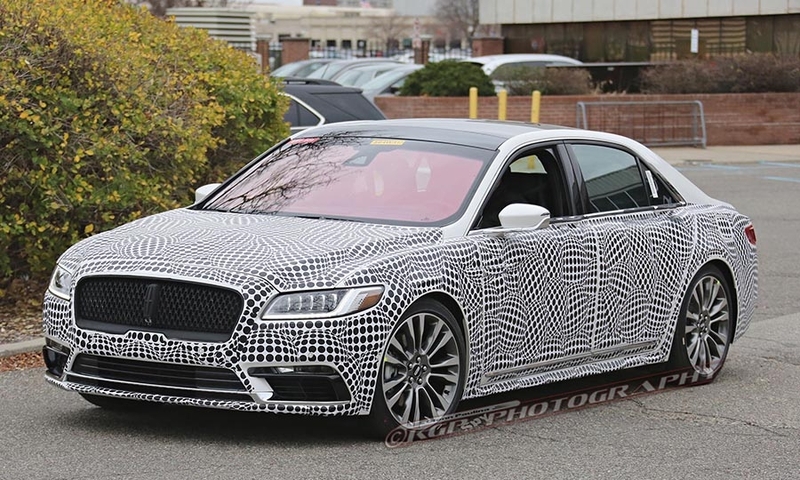 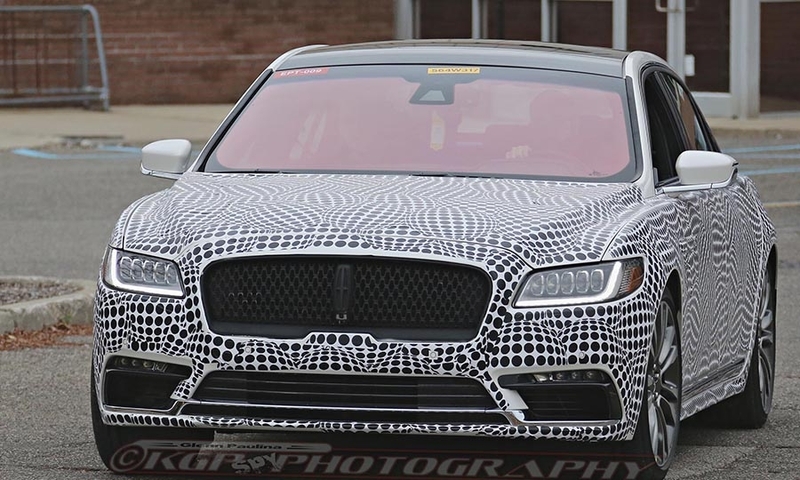 The clearest pictures yet of the 2017 Lincoln Continental emerged this week as a spy photographer caught a test mule leaving Ford Motor Co.'s product development center in Dearborn, Mich. 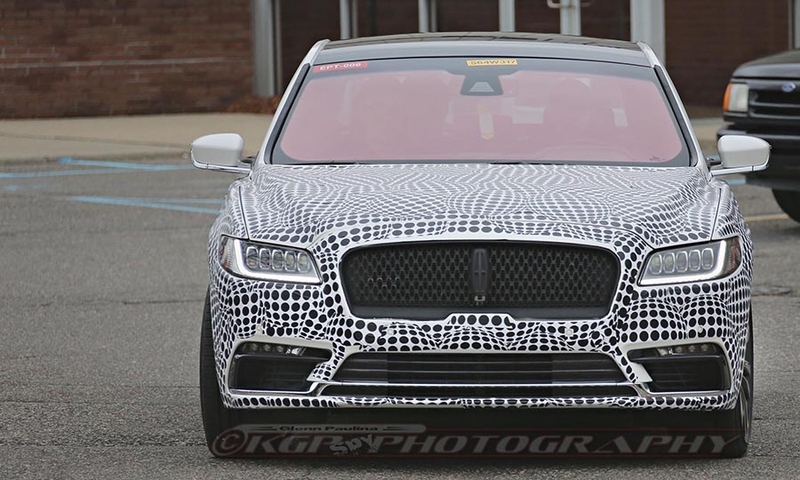 The 2017 Lincoln Continental, introduced as a concept car at the New York auto show in April, is expected to be unveiled in production form at the Detroit auto show next month. 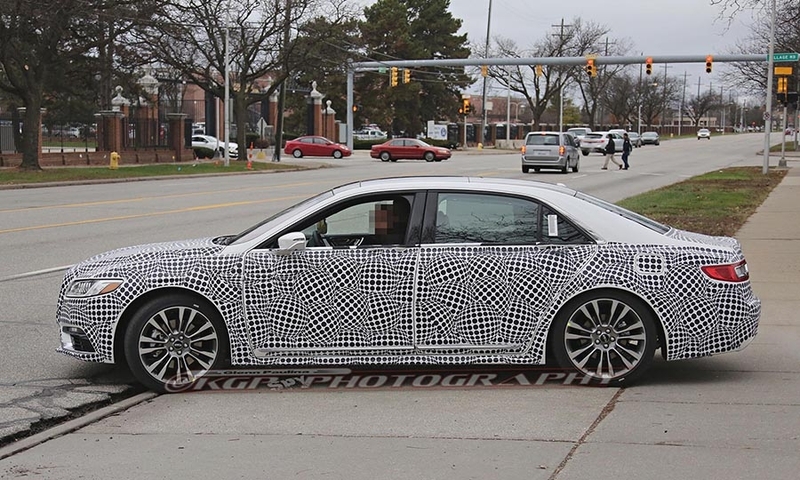 While the car has a conventional sedan shape, it appears Ford has invested heavily in the jewelry. 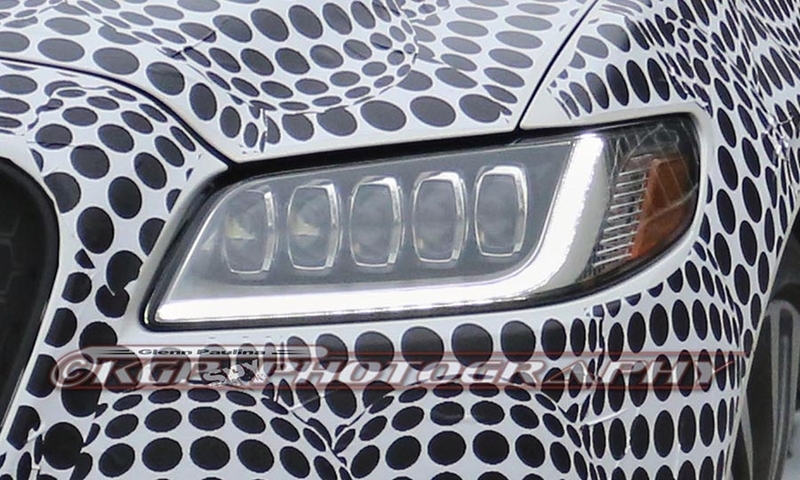 The headlamps for instance, have five chrome-trimmed elements housed behind a plastic cover. 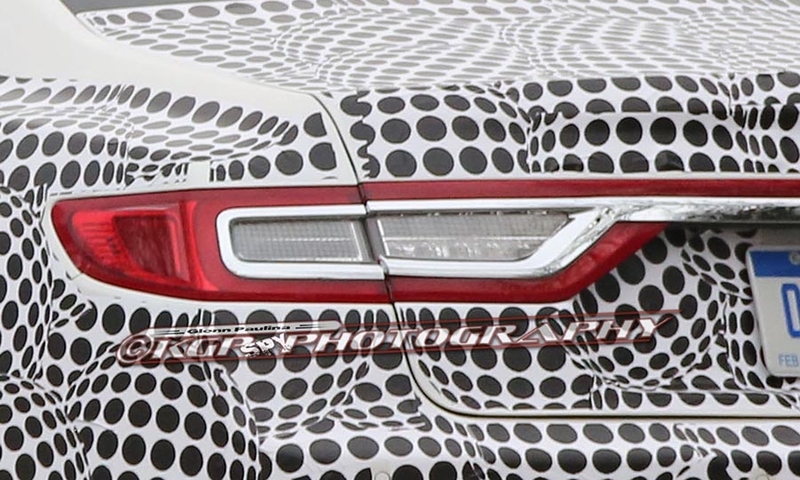 Those oblong elements are vaguely reminiscent of the Lincoln compass logo.